Trumpeter Yoshio Toyama and his wife Keiko moved to the United States 50 years ago to learn about traditional jazz in its birthplace, New Orleans. Nightclubs, churches, house parties, and jazz funerals became their classroom. The lessons took: Singing with a gravelly voice like the late Louis Armstrong and blowing the trumpet in Armstrong's style, Toyama returned home to make a life of playing jazz. 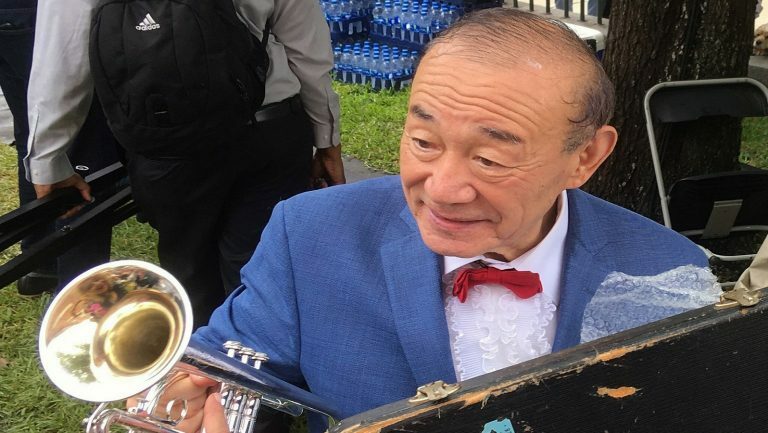 And the man now known as the "Japanese Satchmo" recently found out just how much he's revered by New Orleans' musical community during what could be his band's final gig in the city. Performing during an annual French Quarter music festival that marks Armstrong's birthday, Satchmo Summerfest, Toyama was given what amounts to a lifetime achievement award noting both his music and his ties to New Orleans, including his work to donate at least 850 musical instruments and more than $130,000 to help musicians and music education in the city. Janice Foulks, a board member of the nonprofit French Quarter Festivals Inc., presented Toyama with the "Spirit of Satchmo" award before he performed with his band the Dixie Saints, which includes his wife on banjo and piano. "We love him. He is such a part of New Orleans," said Foulks. Toyama, who lives with his wife in metro Tokyo, had one of the largest crowds during the three-day festival, which draws heavily upon local jazz fans. Toyama, 74, had to compose himself before going on with a set that included his versions of Armstrong classics like "What a Wonderful World" and "Hello, Dolly." "It just happened all of a sudden on stage, nobody told me nothing," Toyama said in an interview conducted by email. "I was in tears and had to knock off playing Satchmo's theme, 'When It's Sleepy Time Down South,' to hide it." Toyama's journey to the American South was inspired in 1964 while he and his then-future wife were on a student band tour. Already fans of jazz, Toyama said they saw Armstrong perform in Kyoto, Japan, and went backstage after the show. Toyama knocked on the door and Armstrong told him to come in; Toyama entered but Keiko demurred. "Keiko was chicken and did not dare come in to the dressing room," he said. Toyama said he wound up blowing the musician's trumpet in a moment he never forgot. With Toyama working for an insurance company, the couple married in 1966 and arrived in New Orleans in early 1968, even though traveling from Japan to the U.S. Gulf Coast at that time was like "going to the moon," he said. They started out in a low-rent apartment on Bourbon Street and immersed themselves in the city's musical culture, making friends and eating Creole food. They remained for five years as they worked and frequented jazz hotspots including Preservation Hall to learn the craft. Settling back home in Japan after a shorter stint in New Orleans in the early '70s, Toyama made a career of jazz, which is very popular in Japan. He has recorded and played regular gigs including more than two decades of performing at Tokyo Disneyland, which includes a New Orleans-themed area. Last year, he received the grand prize from the newly formed Japan Jazz Music Association. "He is a precious man," she said. "He's not just one of those who comes in to play at Satchmo Summerfest. He brings instruments, he visits schools. He does it all." A tour group the couple traveled with has dwindled as members aged, making the journey more expensive, he said, and the 20-hour trip is becoming more of a burden for the couple and the Dixie Saints. Toyama said the future is unclear. 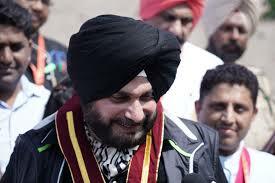 "We will come back more, and hopefully with the band. But (I'm) not sure," he said.